Earlier this month, REI launched a new used gear marketplace as part of their overall offering. Aptly named Used Gear, the site is still in beta but subject to customer feedback, the Co-op hopes to make it a permanent feature. The REI Used Gear site is powered by the gear customer return within the standard one-year policy. The company inspects the gear and selects the best to put up for sale on the site. There are four condition levels – like new, lightly worn, moderately worn, and well worn. Items are discounted according to their condition level. Most items are like new or lightly worn. The result is that you get a better deal on the gear you want while keeping still useful stuff out of landfills. Upon browsing around the store, I found a Jetboil Flash personal cooking system for around $82 — a nice savings from the $110 retail price. There is a Light & Motion Taz 2000 bike light for $200 versus the $290 retail. REI doesn’t post actual pictures of the items so you are going to have to believe them when they say it’s in good condition. Items offered through the REI Co-op Used Gear beta program are sold as-is and without warranty. However, they do offer a 30-day satisfaction guarantee. If you’re not satisfied with your purchase you can return it within 30 days of purchase, through the REI Co-op Used Gear Beta Returns Portal, not through REI stores or the REI Returns Department. You are responsible for return shipping. 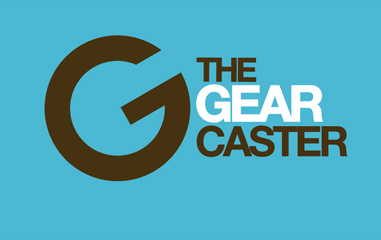 Something I have been toying with for a long time now but have yet to hit the publish button (it’s full ready to go) is a online marketplace where you can buy used (sometimes new) gear that I and other outdoor journalists have used for review purposes. While it is pre-loved, most of the time it is used for only one season and still has a long useful life ahead of it. Absolutely all of the profits would be donated to outdoor charities such as Big City Mountaineers — it’s not a money making endeavor nor should it be. Obviously I can’t compete with the breadth of gear that REI or even Patagonia offer in their used gear marketplaces, but it’s another avenue for consumer. I would love to hear in the comments below if this would be of interest or if you would rather find your used gear from other sites like Craigslist and eBay or even from consignment shops. Can Pedals Make You a Better Rider?